A martyr of North America, assistant to St. John de Brebeuf. 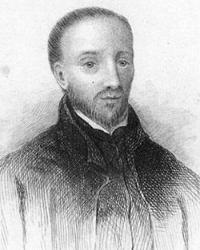 A Jesuit from Paris, Gabriel arrived in Canada in 1646 and worked at St. Ignace Mission in 1649. 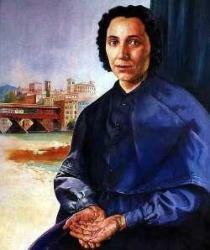 Gaetana Sterni lived her whole life in Bassano del Grappa, an ancient and cheerful city in the province of Vicenza (Italy). She arrived with her family, at 8 years of age, from the nearby Cassola, where she was born on the 26th June 1827. 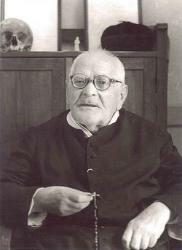 Saint Gaetano Catanoso (February 14, 1879 - April 4, 1963) was an Italian parish priest canonized by Pope Benedict XVI in 2005. St. Gaetano Errico was born on October 19, 1791 in Secondigliano, a small village of Naples, Italy. He was the second of nine children born to Pasquale and Marie (Marseglia) Errico. 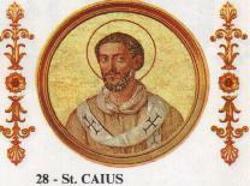 Gaius Dalmatian by birth, St. Gaius was elected to the bishopric of Rome in 283. Little is known about him, although legends claim he was related to the emperor and persecutor Diocletian.